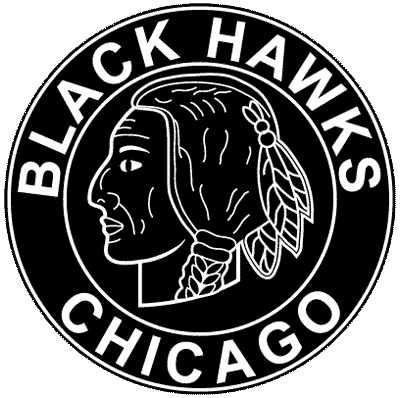 POLL: Do You Love or Loathe the Chicago Blackhawks Logo? 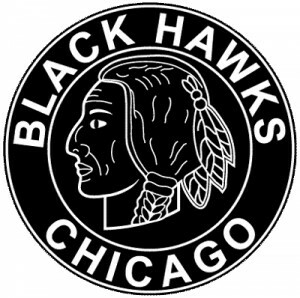 Yesterday, I posted a video from a Chicago television station wherein a sports anchor implied that the logo for the Chicago Blackhawks does not inspire the “fury” among Aboriginal people that other logos do. Well, wouldn’t you know it, non-Aboriginal sports columnist Damien Cox went and recently branded the logo as “racially insensitive.” Judging from the fact that the bulk of the 43 comments flatly reject his criticism — “nauseating,” “pitiful,” “ridiculous politically correct stupidity” — the Toronto Star writer is in the, uh, minority with his views. A lengthier retort to Cox can be found on Hockey Blog in Canada. That’s one area mascot debates rarely cover — the actions of rival team’s fans and how they affect Native people. When an entire arena is shouting things like “Beat the Indians!” “Scalp the Redskins!” “F*@! the Blackhawks!” Can you imagine how it would feel to be a Native person hearing those things? But just who is the Indian head supposed to represent (or, as Wydermyre writes, “desecrate”)? Even defenders of the logo seem to have little idea about the back story behind its visage. The Chicago Sun Times and Chicago Tribune each offer some historical nuggets about the titular Chief Black Hawk and how a facsimile of his face first ended up ‘on ice’ back in 1926. And, with the ‘fury’ of Stanley Cup fever in full force — at press time, the Hawks are one win away from taking it all — the only thing left to do is ask what you think of it all. Post your comments and cast your vote below! I agree about 'Native Appropriations', and incorporated her critique into the piece. Thanks for the link!